“London” is more than a city: it is a collection of tropes and motifs – sepia-soaked pictures of Tower Bridge, red buses, Buckingham Palace Guards, Big Ben, Parliament, etc. All of these things exist, though don’t really bother full-time Londoners much. And we have found relative peace with this falsified version of the city. It does no harm. Instead, everyone gets on with life in their more authentic microcosm of the city. Where you work, on the Tube, where you live. Your real London. For example, last year I lived in Dalston, which was nice. I just watched a four-minute video about Dalston and I have some questions. You might have seen it too. If you haven’t, you really have to watch because it is extraordinary. And you do not really have to have been to Dalston to find it extraordinary. Sure, that was four minutes of your life you’ll never get back. The video was produced by a property company called Telford Homes, to advertise a new collection of homes in Dalston: the “Vibe” development. 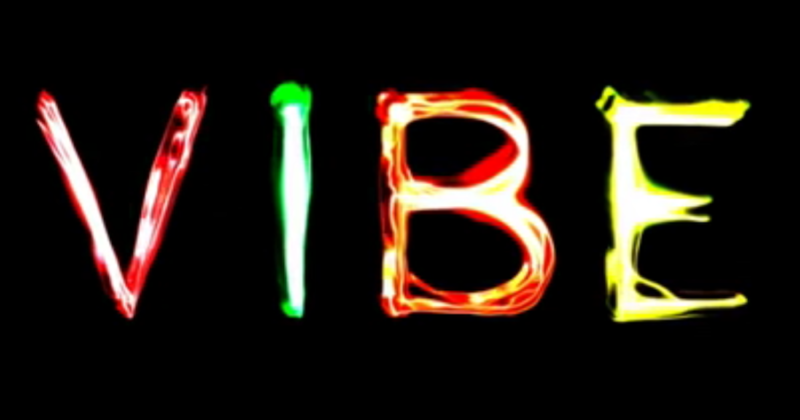 That is why the word “vibe” flashed across the scene in a series of incongruous contexts, like across manicured nails that spell out “I luv vibe”. To say this is a subliminal message would imply that it is clever. It is not clever. Nor does the word “vibe” work figuratively. It does not work as the coherent theme of the video because no aspect of this video has a “vibe”. Buckingham Palace is not in Dalston. Nor, arguably, does it have a “vibe”. Mahiki isn’t in Dalston. Also, its “vibe” is the royal set and the occasional fight. Sloane Street, where our unfortunate protagonist goes shopping, is not in Dalston. Its vibe is oligarchs. Paris, where the video meanders off to for a good 30-seconds, is not in Dalston. The video argues that Paris is accessible from King’s Cross, which is accessible from Dalston. That’s quite like me saying that you should move to London because New York is accessible from London, because we have Heathrow, and you can get the train there from Paddington Station. The Paris “sub-plot” is as clumsy as that sentence. Positioning the word “believe” on the screen invites withering comments like I cannot believe I watched this; I cannot believe this was commissioned; I cannot believe that someone signed off on this. Etc. The soundtrack, which repeats “feels like home”, acquires the tenor of menace by the video’s close. Many other Londoners have accurately observed that this is a “whitewashed” version of Dalston, which is in Hackney: the sixth most diverse borough in London. Among others, it is home to significant Caribbean, Turkish, Nigerian, Somalian and Polish communities. They’re bang on. This is a twee, sterile, risible, vacuous, distorted picture of Dalston. And if it made you want to move to Dalston, then I don’t think you’ll find what you’re expecting. Mercifully.